Award Winning Afropop And Hi-Life Singer/Songwriter Adina Resurfaces Into The Music Scene With A Classical Masterpiece . Adina’S Command On The Instruments In There Is Just Awesome. 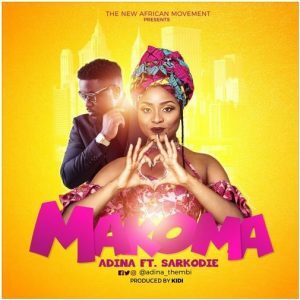 The New African Entertainment Singer Titles This Marvelous Song Makoma , Which In Literal Term Means My Heart. My Heart Here Depicts Her Lover. Featured On Makoma Is Ghanaian Bet Award Winner Sarkodie Who Laid Heavy Bars Within The Perimeter Of Love . Makoma Was Produced By Kidi.